Fr. Wm. Fitzgerald Council 6091 Hagersville/Walpole celebrated their 50th Anniversary at their Annual Charter Night on Dec. 12/18. 50 year pins were presented by SK Gabriel Riverso, DD District 100 and Greg Lougheed, GK. 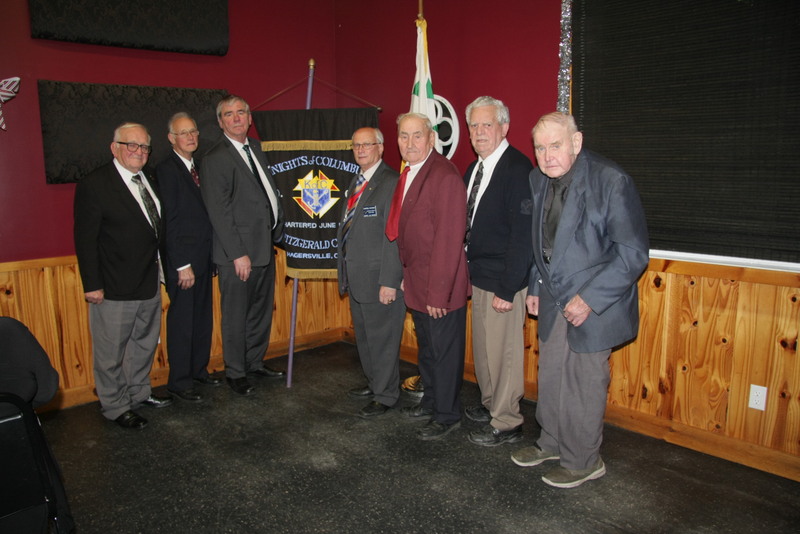 Shown from left to right: SK Louis Skraba, PDD, Ed Kruis, Greg Lougheed GK, SK Gabriel Riverso DD, SK Frank Dubniczky SR., SK Frank Dykstra and SK Andrew Vanexem for 35 years of service.